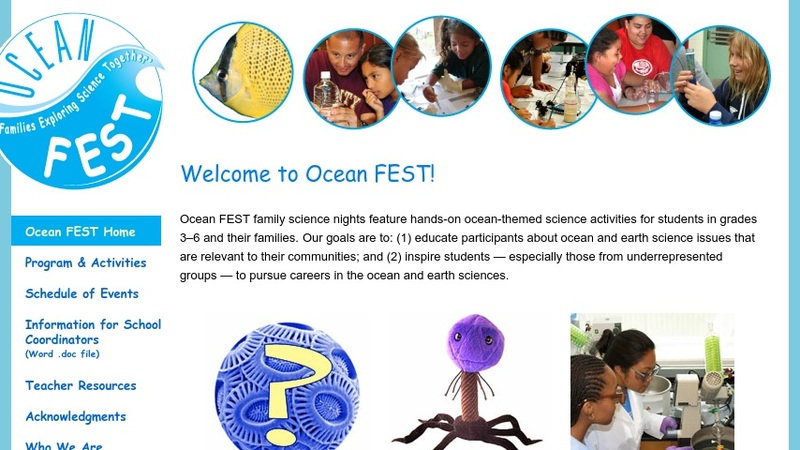 Ocean FEST family science nights feature hands-on, standards-based, ocean-themed science activities for students in grades 3-6 and their families. Our goals are to: (1) educate participants about ocean and earth science issues that are relevant to their communities; and (2) inspire students - especially those from underrepresented groups - to pursue careers in the ocean and earth sciences. The teacher guide provides all information (including supply lists) necessary to perform these activities in a classroom. Some supply funding is available--see Teacher Resources section for more information.